The Air Freshener w/Hidden Camera is non-functioning as an air freshener, but is perfect as a hidden camera. No one will ever be able to tell this fake air freshener conceals a real hidden color camera and mini DVR with an SD card to record what the camera sees. The hidden camera is powered by a 10 hour rechargeable battery pack witno wires or cords to plug in. The battery can be easily swapped out with a fully charged battery. Extra batteries sold separately. The battery also has an on/off switch to save power consumption when camera is not in use. You’ll be able to see everything happening in the room. Measures 8.5" by 3.5". This hidden camera features motion-activated recording that starts as soon as motion is detected. With motion-activation, you won’t have to fast forward through hours of uneventful recording. This unit also has "Motion Detection Area Masking". For example, if you have a dog or cat and don’t want it to set off the motion detector, you can mask the lower quarter of the field of vision so it does not detect motion. You can view your recordings by using the included RCA cable to connect to your TV. You can insert the SD card into your computer for easy viewing. FREE 8GB SD-CARD Included! 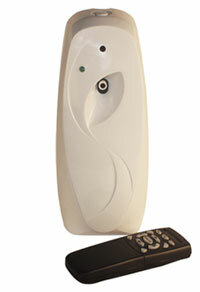 This Air Freshener w/Hidden Camera can be delivered in 3 to 5 business days. If you would like to receive your order sooner, guaranteed 3 day, 2 day and next day delivery options are available upon checkout. Orders placed by 2:00 PM central time ship the day they are placed. If you have any questions or concerns call our customer support staff at 800.960.2015 or click the live chat button at the bottom of this page. Our courteous and professional customer support team is always glad to help! This unit is offered in 2 more models. Additional set up is required, however, full instructions are provided.